StartLife is excited that Unilever R&D is now part of the StartLife community. Moreover with the construction of the new Unilever Foods Innovation Centre on Wageningen Campus, Unilever R&D will be able to offer its knowledge, network and facilities to startups and thereby contributing to a strong foods innovation ecosystem in Wageningen. Together the organizations will support entrepreneurs and their teams as they build their innovative business ideas into global enterprises with a lasting impact. Jan Meiling, Managing Director of StartLife. She states: “As part of the Agri-Food Innovation Ecosystem in Wageningen we are able to multiply the impact of our own resources and capabilities with those of the wide variety of external partners that are present here. The input and creativity of startups in the StartLife community will result in creating the innovative power that we need to remain frontrunners in sustainable foods”. 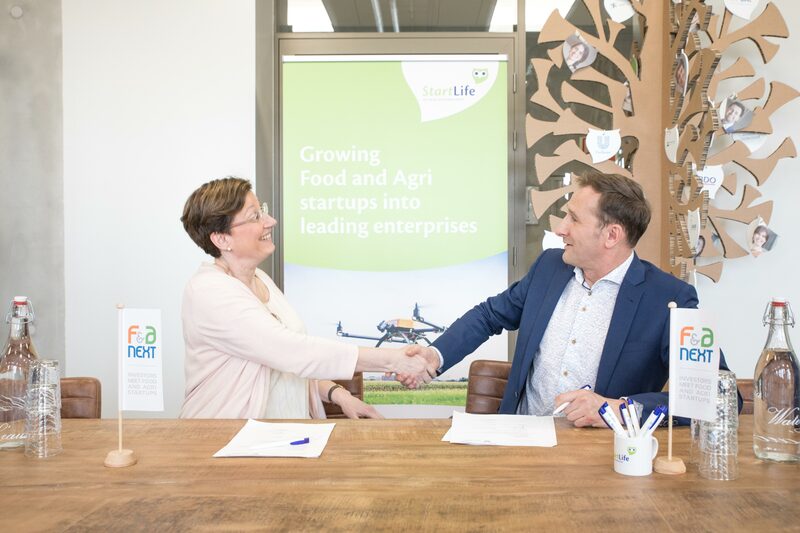 Managing Director Jan Meiling comments on the partnership with: “This is brilliant news for the startup entrepreneurs in our portfolio, they now being able to liaise on a structural bases with a leading multinational food company, on ‘Starbucks distance’!